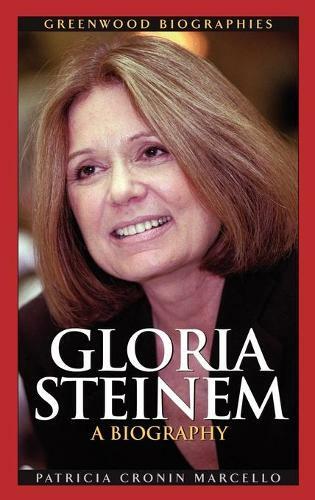 Gloria Steinem represents second-wave American feminism. This new biography recounts her truly fascinating life, one that was remarkable even prior to her association with the feminist movement. Steinem was destined to succeed and showed extraordinary strength dealing with difficult family circumstances, a peripatetic upbringing, and financial straights that forced her as a teenager to support herself and her divorced, emotionally troubled mother. Brains and talent became her tickets to Smith College, travel, journalism, and worldwide fame as a feminist icon. Marcello's engaging narrative was written with Steinem's cooperation. New details and quotations are presented here for the first time. Students and others unfamiliar with Steinem's youth and pre-Ms. Magazine days will find much to respect in her character and achievements.